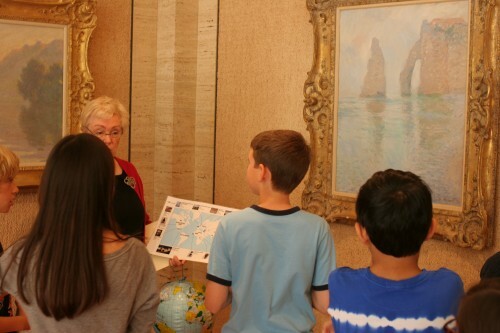 The Kreeger Museum offers dynamic education programs for a wide range of individuals and groups. From engaging school tours to internship positions to scholarly research opportunities, we are proud to play many roles within our Washington, DC, community. For more information on our programs, browse the tabs on the left of this page. We are pleased to collaborate with numerous schools and organizations in the greater Washington area. We thank all of our partners for helping us enrich lives through art, architecture, and music.